A Study In FIRST TIMOTHY. Over the past several years I have noticed a certain casualness that has become prevalent on Sunday mornings. Our culture seems to be dictating the attitudes of church leadership in responding to the change. Is it just me, or has this become a fulfillment of biblical prophecy? So in searching for answers, I, of course, turn to God’s Word in the bible and was led to First Timothy. At the beginning of Paul’s letter to a young pastor, Timothy, this letter had a central purpose behind it. “Although I hope to come to you soon, I am writing you these instructions so that,  if I am delayed, you will know how people ought to conduct themselves in God’s household, which is the church of the living God, the pillar, and foundation of the earth” (NIV). IS THE APOSTLE PAUL REACHING JUST A BIT IN THE ABOVE VERSES? The proper and orderly BEHAVIOR within the body of BELIEVERS in the house of God should always be an Extension of WORSHIP. The given instructions by the Apostle to Timothy (and consequently, all who will follow in the Faith) know what conduct is pleasing in the sight of the True and Living God. This Letter to Timothy is Paul’s effort to remind the young pastor, and through him to remind the Church at Ephesus the fundamentals of church life. These fundamentals appear to have been forgotten in this day and age. And from my own observations of behavior in many churches today, the foundations are being attacked by an infestation of ‘cultural termites’ and are crumbling before my eyes. The Apostle tells us the reasons for his letter to the Church. He’s not merely informing Timothy that he intends to come to Ephesus; he wants to ensure that Timothy has in hand information vital for congregational health. Paul uses three descriptive terms, all referring to the CHURCH. To really appreciate the CONDUCT AND CONFESSION required of the congregation there’s a need to understand the apostolic view of the Church. Keep in mind, Paul’s not writing about some unorganized body that is difficult to understand–he’s writing to Timothy about the congregation in Ephesus, the church Timothy pastored. This phrase is more common for Paul than one might think. For instance, writing to the saints of the Galatian churches, Paul insists, “Be mindful to be a blessing, especially to those of the household of faith [those who belong to God’s family with you, the believers]” (Galatians 6:10, AMP). Then again in his letter intended for general circulation, the Apostle has written, “You are no longer foreigners and strangers, but fellow citizens with God’s people and also members of His household” (Ephesians 2:19, NIV). God is the Father and believers are His children. Therefore, believers are brothers and sisters in Christ. The elders and deacons are given as LEADERS to assist the FAMILY to fulfill the Father’s will and purpose. NO, it more than that. It’s all about FAMILY–the “household” of God. I know on occasion in our own physical families, family members have conflict and the same can occur within the church family. However, in Heaven, it will be redeemed, perfected “household” in entirety then. The next term the Apostle uses is “the church of the Living God”. Twenty-seven times in Scripture God is identified as “the Living God.” Fifteen of those times occur in the O.T. and twelve times the term is applied to God in the N.T. Whenever I see the Lord God identified as “the Living God,” my mind turns to the knowledge that He is eternal and He is immortal. The title testifies that He is the source of life. We LIVE because He has given us life–we are alive in Christ Jesus our Lord and Savior. Knowing this to be TRUE, the child of God must not associate with that which is identified as DEAD or DYING; we must not embrace if you will, that which is dying. The ATTITUDE of this world are the ATTITUDES of DEAD PEOPLE. John, the apostle testifies that “As the world passes away and disappears, and with it the forbidden cravings (the passionate desires, the lust) of it; but he who does the will of God and carries out His purposes in his life abides (remains) forever” (1 John 2:17, AMP). So if we are identified in the community as “the Church of the Living God,” then we’re responsible to avoid embracing that which contaminates that which speaks of death. IDOLATRY today comes in many forms. It extends beyond the worship of graven images. Our modern IDOLS are many and varied. Even for those who don’t bow down physically before a statue. IDOLATRY is a matter of the HEART–pride, self-centeredness, greed, gluttony, a love for possessions… sports heroes, music legends, etc. Ultimately, it’s REBELLION against God. Is it any wonder that God hates it? And if God hates something in my life, I should recognize it and hate it too! In Christ Jesus, the CONGREGATION is being built. When we gather for WORSHIP on a Sunday morning, or at other times, we are not just another organization registered with the government–we are the CONGREGATION of the Lord. We don’t go to church–we are the church. A breathing, living entity, indwelt by His Spirit. When we meet together, we don’t just sing songs and listen to sermons. We are and should be energized by His Spirit by offering sacrifices of praise. As a significant aside, a COMMUNITY is only as strong as the churches of the community. If the community is religious, though unchanged by the preaching of God’s Word, then it has no depth or stability to permit it to stand. The same holds true for a NATION or a CULTURE. Whenever a people no longer WORSHIPS the True and Living God, that PEOPLE have placed their trust on a flimsy thread that must soon fail; they’re stepping onto a slide from which they may never return as they plunge into insignificance and ultimately into ruin. The Word of God, God’s TRUTH given in written form, serves as a FOUNDATION for our lives as a CONGREGATION and it’s to be the MESSAGE we deliver to the world around us. The WORD is to saturate our lives, to be central to every activity in which we engage as a CONGREGATION. Note in our passage of Scripture, Paul is addressing Timothy, not the congregation. The reason for this is that the ELDERS are responsible to teach these things faithfully while the CONGREGATION should and must know these things, it’s the responsibility of the Elders/Deacons to teach them. If your church leaders excuse error in the midst of the Assembly and fail to hold the line on biblical truth, you should be questioning their adherence to all other truths. What were the criteria to qualify as the Church of the Living God? In answering the proposed question, we need to review what has already been laid down in Scripture. So the CONGREGATION (that’s you and me) will endeavor to qualify as the Household of God should remain focused on glorifying the Son of God through winning others to FAITH and that CONGREGATION (that’s you and me) will PRAY for God to bless civic authorities so that the CHURCH is free to evangelize. Moreover, that Congregation should labor to ensure that men assume the position in leading such prayer. Paul wrote, “Therefore I want the men everywhere to pray, lifting up holy hands without anger or disputing” (1 Timothy 2:8, NIV). How we dress, how we dress our children, how we instruct our teenagers to dress, says far more than we might imagine. I’m not suggesting that we must be ‘flashy,’ or try to attract attention in our dress; but we must bear in mind that we are coming into the presence of the Lord God. It’s not about you! This brings to mind the instructions Peter wrote at one point with his first letter directed to WIVES, the principle should apply to each Christian. “Let not yours be the [merely] external adorning with [elaborate] interweaving and knotting of hair, the wearing of jewelry, or changes of clothes; But let it be the inward adorning and beauty of the hidden person of the heart, with the incorruptible and unfading charm of a gentle and peaceful spirit, which [is not anxious or wrought up, but] is very precious in the sight of God” [1 Peter 3:3-4, AMP]. It’s a serious challenge to us living at what appears to be the twilight of the Age of Grace to question whether we hold CULTURE accountable to the Word of God, or, whether CULTURE now holds the Word of God accountable to whatever silly fad happens to have captured the popular imagination of the moment. In the CONGREGATION of the Master, it is sufficiently important to the Apostle in the entirety of chapters TWO and THREE regarding our conduct. PAUL admonishes Timothy and all those who stand behind the pulpit, that the task assigned is to provide instruction of godly CONDUCT in the Household of God–holy behavior, prayer led by godly men, modest dress, a biblical order in the service of the Assembly and ELDERS and DEACONS being marked by righteous lives that reveal His work in them and through them. Keep watch over yourselves and all the flock of which the Holy Spirit has made you overseers. Be shepherds of the church of God, which He bought with His own blood. I know that after I leave, savage wolves will come in among you and will not spare the flock. Even from your own number men will arise and distort the truth in order to draw away disciples after them. So be on your guard! Remember that for three years I never stopped warning each of you night and day with tears. The danger was not potentially, it was indisputable; the DANGER to the churches was piercing! What Paul foresaw, Jude recognizes as already happening–an ongoing assault against the Faith. Tragically, the churches across the land appear to have become complacent, as though accepting what I like to call, a paradigm shift of the church practices that somehow honors God. Has the condemnation of the Prophets been pronounced on us today? Has our CASUALNESS in God’s House become the post-mortem of our WORSHIP? HOLINESS–things are done in and about the worship service must be done for GOD’S GLORY, not ours. We cannot allow cultured shifts or norms to dictate out the manner of WORSHIP. We just can’t! Sermon Central: Proper Attitude And Order in The House Of God, contributed by Duane Smith on April 11, 2011. Photos & Images: Google Image search, Advance settings. Bible Translations: New International Version (NIV); Amplified Bible (AMP); other translations used are noted in the text. People Show Up In Unexpected Places Doing Unexpected Things! Have you ever noticed how sometimes people arise out of the strangest corners of society, making a great splash, getting involved in things you never expected, and doing quite well at it? Take for example Bill Gates, one of the wealthiest men in the world, who in his 30’s, soft-spoken, came out of nowhere, a college drop out and started “Microsoft”. It happens with political figures and it happens in sports. When people like this show up on the scene making a big splash, and succeed, generally it’s a pleasure to watch it all unfold. It also makes good fodder and coffee shop talk. But sometimes, it can be quite annoying, as well. People show up in unexpected places doing unexpected things, and we don’t like it. They can be intimidating. They’re a nuisance. It rubs us the wrong way; it goes against the grain. A PROPHET who came out of nowhere into a Nation going along quite smoothly at the time, speaking a MESSAGE that was…quite disturbing? And doing it rather effectively. The people didn’t appreciate him! The authorities certainly were irritated!! And he said, The Lord roars out of Zion and utters His voice from Jerusalem; then the pastures of the shepherds mourn and the top of [Mount] Carmel dries up. [Isa. 42:13; Jer. 25:30; Joel 3:16]. AMOS began prophesying during the reigns of King Uzziah and Jeroboam II around 760-750 BC. It was a time of great prosperity in the land. If Israel and Judah had the Stock Market back then, it would have been breaking all previous records. Economically, politically, and militarily, things were going well for both Israel and Judah. However, all that said, it was also a time for IDOLATRY…extravagant indulgences in luxurious living, immorality, corruption, and oppression of the poor. ISRAEL, God’s chosen people, were living high on the hog. They knew it and were smug about it. Now the GLORY was present alright and the Israelites figured by looking around at all their successes, God was on their side. They deserved the BLESSINGS they got. Nobody and nothing would ever take it away! Into that kind of cesspool of SIN & ARROGANCE stepped Amos, one shepherd of Tekoa. Don’t think of Amos in the same breath as the shepherds of Bethlehem–a lowly bunch of farm hands, rejected by the population at large. Amos, like the King of Moab, was a sheep dealer or trader, one significantly more wealthy than a mere shepherd or hired hand. Amos was a man of means. That’s also verified in chapter 7 of Amos (Amos 7:12-14). In study and putting things together about Amos…it appears that he was a man of diversity; rather a wealthy agriculturist of sorts. Now it is this man, who knew his livestock, who had diversified his interests of fruit-growing, that was CALLED BY GOD and compelled by the Holy Spirit to speak to Israel. Into a nation with a well-established system and hierarchy of prophets and priests and kings, a nation of wealth and power and terrific esteem wanders this merchant from Judah–an unlikely man with an unlikely MESSAGE in an unlikely way! Why, do you think, he does it? I had to ask the question myself. Why lay aside a profitable business to head north and then rip a strip off of the people who could easily ruin him economically, or even kill him at the drop of a hat? Let’s face it. Being a PROPHET coming out with guns blazing on God’s behalf as Amos does, was no small matter. It wasn’t without considerable risk! Amos was quite aware and acquainted with the culture of the day from all his business trips within the borders of Israel and her surrounding heathen neighbors. The practices and injustices of the day would have been seemingly obvious to him. Happened again to other men and women in the history of God’s people. God’s Holy Spirit spoke to Amos’ spirit giving him an unmistakable MESSAGE of what would happen if things didn’t change quick. It came in the form of thoughts, strong compulsions, and vivid visions. And AMOS couldn’t–he just couldn’t–ignore and leave it alone! If A LION ROARS…who doesn’t fear? If GOD SPEAKS…who can BUT go out in OBEDIENCE & PROPHECY? This was a rare occurrence. Amos lived in the Old Testament era, where the movement of the Holy Spirit within someone was rare. Only a select few were touched by the LORD. Only a select few ever received guidance from Him. So this unlikely candidate–a farmer, not a PK (preacher’s kid), not a seminary student or a son of a priestly family, or someone with a prophetic lineage–this unlikely candidate heads out with a message of the Lord, a stern message! CARMEL, was, by the way, an important mountain in Israel, a place of great fertility–strategic for agriculture, a symbol of the lands well-being. Their ‘well-being’, in other words, was about to come to a screeching halt. So as you might suspect, Amos’ message wasn’t well received. That is extremely clear when looking at Amaziah’s response to the MESSAGE in Chapter 7. Amaziah represented the Israelite establishment, the power-brokers. He was an office-bearer, anointed as PRIEST, representative of the King. Amos’ message condemns the religious life of the people in which Amaziah was in charge of caring for that “religious life.” Of course, he’d be upset. I mean, who wants to hear negative things said about you and your people? If God wanted to speak, let Him do it through the proper, designated channels. Yes, I said that. A fellow prophet, just as we are PROPHETS! I mentioned that Amos lived in the time when the Spirit of God came only occasionally to people, the time when few were prophets. The CRY of Moses, “Would that all the Lord’s people were prophets and that the Lord would put His Spirit upon them!” has been answered. The Holy Spirit has descended and indwells ALL who are BELIEVERS in Christ Jesus. “And it shall come to pass in the last days, God declares, that I will pour out of My Spirit upon all mankind, and your sons and your daughters shall PROPHESY [telling forth the divine counsels], and your young men shall see visions (divinely granted appearances), and your old men shall dream [divinely suggested] dreams” (Acts 2:17 in the Amplified Bible). WE ARE IN THAT AGE–every believer a PROPHET. You and me too! “We are therefore Christ’s ambassadors, as though Christ were making His appeal through us”; and somehow we seem to always manage to discount that. I’m no good at that. That’s the job for the Pastor. I don’t know anyone I could speak to. Do we stand as BELIEVERS more with Amos or Amaziah? Are we willing to take up the mantel…to accept the fact that being a Christian in the New Testament age means to have the Holy Spirit, and to have the Holy Spirit means that we are Prophets and that we are PROPHETS means, WE MUST SPEAK!!! We find ourselves in a day and age relatively complacent and comfortable in our beliefs. IN DARKNESS, away from a relationship with God through His Son, Jesus Christ. The end result of the wanderings is certain–DEATH. Though they may not hear it themselves, THE WORD OF GOD ROARS LIKE A LION, searing the top of Carmel. That WORD has been given to us! The reaction from others is often similar to Amaziah’s reaction to Amos’ message. To whose DRUMBEAT will we march? Whose CALL will we listen? For whom will we SPEAK? It’s going to feel awkward, strange, even out-of-place at first. But then, it wasn’t much different with Amos. Footnote : “Shepherd” – Vine’s Complete Expository Dictionary – Old Testament words. Humpty Dumpty and Alice were having an in-depth conversation about birthday presents. Because Humpty Dumpty’s physical appearance (no neck and no waist), Alice had made a remark about his beautiful belt and was promptly corrected to “a beautiful cravat.” Evidently Humpty Dumpty was very angry though he said nothing for a minute or two. “There are three hundred and sixty-five,” said Alice. Humpty Dumpty looked doubtful at Alice’s math. “I’d rather see that on paper,” he said. Alice couldn’t help smiling as she took out her memorandum-book, and worked the sum for him. “You’re holding it upside down,” Alice interrupted. “But ‘glory’ doesn’t mean ‘a nice knock-down argument,” Alice objected. It seems a bit silly, doesn’t it? “When I use a word it means whatever I choose it to mean?” What would life be like with no absolute, no certainties, nothing to measure oneself by. Judges 17:6 (NIV) – In those days Israel had no king; everyone did as he saw fit. You have a person with no moral compass. They meet another person with no moral compass. They multiply their SIN and spiritually bankrupt themselves and a DANGER to others. A Pathetic Story is unveiled. Son of a wealthy family…looking for the easy way out. MICAH didn’t want to wait for inheritance…didn’t want to work for anything…saw what he wanted…and with no moral compass…took it. JUDGES 17:1o indicates that ten shekels of silver a year was an adequate wage. Therefore, 1,100 shekels was a great fortune (vs. 2). But without the true belief in God, Micah fell prey to superstition, feared his mother’s curse and so confessed his sin. And it was easy to pick up on how this young man got there…A THIEF. He learned it at his mother’s knee. She stole 900 shekels from God. I see one of the true tragedies of our times where so many parents who are steering through some sort of MORAL FOG of relativism…having no moral bearings or compass to pass on to their children. So, their children get deeper and deeper into the FOG. I see my own extended family…PARENTS abandoning the church, the Word, and the faith. What is left…NO ABSOLUTES…just relativism. And the grandchildren parents…the relativism doesn’t match the relativism of their friends, so they pick and choose. There’s no king, no absolute or higher law…so they do what is right in their own sight. Notice in the verses, how the mother didn’t even correct her son for stealing. How could she–a THIEF herself! Not only was she guilty of failing to do right by him…she was guilty of leading him to sin. She was the one responsible for getting him into IDOLATRY. This is what happens when you combine two hearts and minds, both wicked and neither having principles…The SIN is multiplied…IDOLATRY. That’s the reason God wants us to have Christians friends, partners, and spouse. Two persons without MORAL COMPASSES combine their SIN and then you become spiritually bankrupt, spiritually malnourished and starving. God’s ANGER burned against Micah, his mother, and now Micah’s son. That’s the Nature of Sin…it always takes you farther than you wanted and always keeps you longer than you wanted. It always involves others. MICAH consecrated one of his sons to be his Priest. Sin because ONLY God can consecrate someone as a priest. MICAH and his mother have now dragged Micah’s son into the quagmire. But Micah wasn’t finished yet…his SIN would get much deeper, endangering many more people. Here’s a 2nd Sad Case… we have a person who is a Levite but not a priest (not in the lineage of Aaron) but he is masquerading as a priest. He’s dissatisfied with his position and his inheritance. The tribe of LEVI is the only one who didn’t receive a territory–they received 8 cities. They received no land and were to be supported by the tithes of the other 11 tribes. A LEVITE would never own land or have riches. But the LEVITE wanted more and left Bethlehem (17:8). He had determined that he would go whereever…do whatever and make a name and fortune. He had lost his moral/spiritual compass, what’s right and wrong…resolutions, different from Micah. MICAH never had a compass, but the Levite did. The LEVITE and MICAH meet (17:9-13). This was an accident waiting to happen meeting another accident waiting to happen! Micah wanted a proper Levitical priest (to get God’s favor) and the Levite wanted fortune and fame. They were a perfect match…made in Hell! The LEVITE was a member of the CLERGY…not a priest. He wasn’t supposed to be a PRIEST…not from the priestly family. In Numbers 16, God caused the ground to swallow a LEVITE that tried to be a priest. He had been dissatisfied with his position God had placed him in for his life, and now, he was determined to make his own plans and he was happy…at least for a while. He was serving an IDOL, sacrificing to an IDOL, leading others in the process to do the same. The Levite had moved beyond the sins of PRIDE and INGRATITUDE…was now in the big leagues…IDOLATRY. Now he was spiritually destroyed and in danger to others around him. But his sin had not reached its peak. Scripture tells us that the tribe of Dan was seeking an INHERITANCE ” for themselves” (verse 1). They were not satisfied with God’s plan. And God’s PLAN for them: He had given the land between Ephraim and Judah, stretching to the Mediterranean Sea. It wasn’t as they claimed, that God had not given them a territory to possess, but rather that they chose NOT to possess it because that would cause them to have to defeat the Amorites living there. Their FAITH in God’s promises was lacking. They loved the junk-food of easy living. That’s what Micah said…that was what the Levite said…now Dan says it. And today it is the CRY of Society…God’s way is too hard, too demanding…we want a new God. So the tribe of Dan left their homes in the Promised Land and sought a new, easier place to live. They left their COMPASS of absolute right and wrong…lost in relativism. That’s where they were when they met the LEVITE, another one without a COMPASS. REMEMBER: they are guilty of disobedience, lack of faith, fear, and last but not least…LAZINESS. They are looking for a god to stamp–validate their plans, and the Levite is looking to move up…BIG BANG! They took the Levite to be THEIR Priest and the gods of Micah to be their own. It started with a SINFUL MOTHER with no principles, no king, and she was in danger. She led her son into IDOLATRY. MICAH became spiritually bankrupt and dangerous to others. Micah led the Levite into IDOLATRY. The LEVITE became spiritually bankrupt, malnourished and dangerous to others. The Levite led Dan into IDOLATRY. The Story Is the Same…Only the Names Change Throughout History. Eve lost her COMPASS…met the serpent with no compass, fell into SIN…danger to others. Samson lost his COMPASS…met women with none…fell into SIN…danger to others. David, Solomon, Jacob, the list goes on. 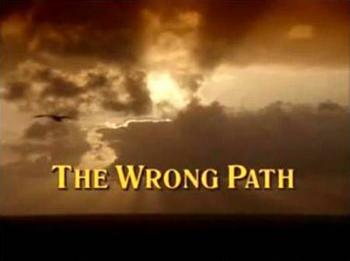 When you get to the point where you are no longer satisfied with God’s way because it’s too hard, it doesn’t give you what you want, it’s NOT fun…then you decide to choose your own way of doing things…you toss away the COMPASS…absolute right and wrong. You’re bound to run into others like yourself. Together, you will get more LOST, deeper into SIN. You too will become morally/spiritually BANKRUPT. You become a danger to others and you have NO COMPASS. You’ve got to hold on to the COMPASS, no matter what! As long as you have the Word of God in your heart, Holy Spirit in the driver’s seat, and not deceived by the bogus teachings or promises of the world. But it all starts right here…Satan’s first move is to get you off the straight and narrow; to give up the COMPASS…the ABSOLUTES. To accept RELATIVISM…” the doctrine that knowledge, truth, and morality exist in relation to culture, society…is not absolute” (Google dictionary). With it, he has you! No matter how good your reasoning and rationale might seem, if God calls it SIN…then it’s SIN. That we never define our actions with the attitude “Whenever I use a word it means whatever I choose it to mean,” said Humpty Dumpty scornfully. Footnote [i] : Alice in Wonderland – Wiki – Humpty Dumpty a novel by Lewis Carrol and Who Says It’s Right? by Denn Guptill, Jan. 5, 2004. PHOTOS: Google Image Search – advanced SETTINGS. Bible Translations: New International Version (NIV), Amplified Bible (AMP), except where noted. This weeks blog-post all began with a question my nephew-in-law proposed. He was commenting on and trying to get a discussion started on Facebook. Now there’s a challenge. It was interesting to read some of the comments and answers to his question–which in turn, prompted me to search out answers found in God’s Word: Where IS God when things seem to be deteriorating all around us? When you ask a question, what do you want? I know what I want–I want an answer! Not only that, I am fussy. I would like the right answer as well!! In the Book of Habakkuk, we notice right away, there is a DIALOGUE going on between the prophet and God. In today’s religious circles, we might call it, CONVERSATIONAL PRAYER (I do, anyhow). We can plainly see that Habakkuk is looking for ANSWERS from God. As he watches the faithlessness of his nation’s people, he wonders why God doesn’t change it. So, HABAKKUK complains about God’s seeming lack of concern. IN CONTEXT– When the prophet COMPLAINS of God’s INACTIVITY, God gives him an ANSWER that distresses him even more. God is going to send the wicked nation of Babylon as an instrument of judgment. Now that is definitely NOT the answer Habakkuk was looking for. In fact, he finds it hard to believe that God would use an even more sinful and evil people to establish His righteousness (Do you know any people, leaders who you think could be evil?). For Habakkuk, this seems inconsistent. It doesn’t make sense. But he doesn’t give up on God. “WATCH” = a military term. At this point, Habakkuk is reserving any more comment until he understands. For as confusing as he thought God’s INACTIVITY was, His ACTIVITY is even more confusing. What a great vantage point in getting yourself above and away from the world’s distractions. Habakkuk is no longer doing all the talking–he’s listening! He is no longer arguing–“Why not?”–“What for?”–he is submitting. God wants His ANSWER to be permanently recorded because… of future generations who are going to read it (or, should read it). Simply put; Though the timing is not ours…it is not a delay in God’s timing. He is in control!!! There are not random circumstances. How can we become CONFIDENT in our asking? God gives us a contrast here in Scripture: BABYLON thinks that they are powerful, but in reality, foolish. It is not what I do that puts me in right standing with God; I will never be good enough. But instead, I need to LIVE A LIFE of Dependence on God. – WE MAKE IT BY FAITH. – WE MAKE IT LIVING IN ASSURANCE of God’s Grace. When we are not living by FAITH, God, in His MERCY will go to extraordinary means to get us there! I don’t know about you, but that sure gives me CONFIDENCE!! God is always working for our best. The truth is, however, when God works for our best interest, often we go through a very painful process of acknowledging the TRUTH. Several years ago on a hot summer day in south Florida, a little boy decided to go for a swim in an old swimming hole behind his house. Being in a hurry to dive into the cool water, he ran out the back door, leaving behind his shoes, socks, and shirt on the floor. 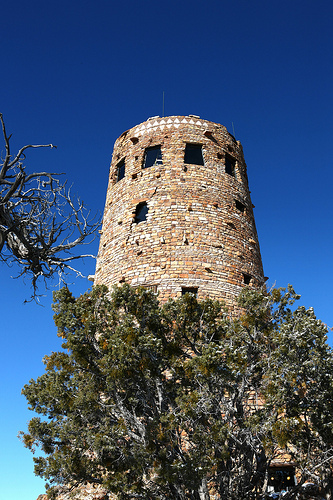 His mother–in the house was looking out the window–saw the scene unfolding before her eyes. In utter fear, she ran toward the water yelling to her son as loudly as she could. Hearing her voice, the little boy became alarmed, making a U-turn to swim to his mother. Just as he reached her, the ALLIGATOR reached him. 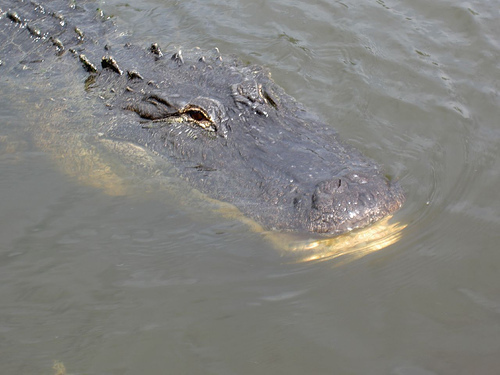 From the dock, the mother grabbed her little boy by his arms, just as the ALLIGATOR snatched his legs. The incredible tug-of-war began. The ALLIGATOR was much stronger but the mother was much to passionate to let go. A farmer happened to drive by and heard her screams. He raced from his truck, took aim, and shot the ALLIGATOR dead! Remarkably, after weeks in the hospital care, the boy survived. His legs were extremely scarred and on his arms, were deep scratches from his mother’s fingernails that .dug into his flesh in her effort to hang on to the son she loved. Some of those scars are from our own foolishness because they are unsightly, causing deep regret. But some wounds are because of God, in His Mercy, has refused to let go! He will go through extraordinary means to get us where we need to be, even if it’s PAINFUL. As we know Him better, we discover He is holy! When we know God, we understand HIS STANDARD. He is a holy God and rightly condemns SIN. Throughout this section of Chapter 2, we find the description of SIN as practiced and lived by the nation of BABYLON. 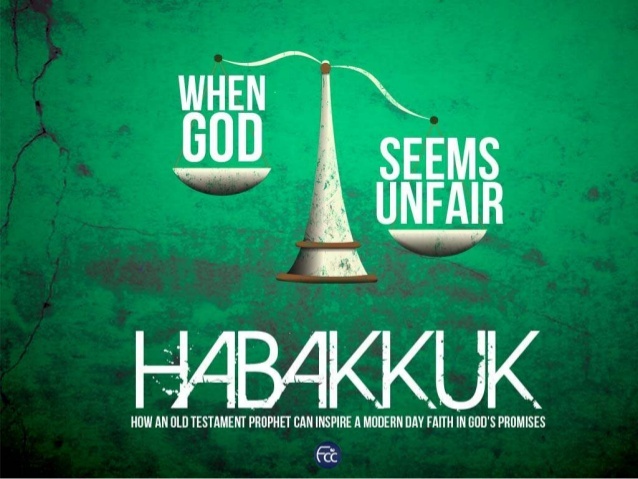 God is telling HABAKKUK that He knows they’re bad–they are evil. And yet, God’s own people were headed down the same PATH. God hast to stop them, discipline them. get them back where they belong…LIVING BY FAITH! They needed to be a people who live by faith!! (2 Cor. 5:7; Eph. 2:8; Heb. 11:6). Babylon is never satisfied. It is always gathering and collecting for itself; It makes itself rich carrying out material pursuits in a way that shuts out all other concerns. I found it interesting in my studying, the verses that the road from righteousness changed direction to a path of wickedness. A Nation full of people who are outraged by the SIN around them. And yet, they’re still characterized by INJUSTICE because they tolerate the SIN that is within them. They not only sin against others, but also sin against themselves. It’s the breaking of one’s own MORAL CODE. There exist a carelessness in the society during Habakkuk time; of sexual activity, instead of seeing it in its proper sacred place (Sound familiar?). Babylon was serving the creature rather the Creator. Yes, there were deliberate failures made when it came down to God’s standards, but they too would learn. SIN doesn’t go unpunished. Their own SIN will find them out! God is going to have the last Word!! – IN HIM WE LIVE & MOVE AND HAVE OUR BEING! We may try to shut Him out, ignoring His purposes over our own. THE FACT remains–GOD IS THE WITH-US GOD! We continue to be creative in searching for the answers we seem so desperately need in our daily lives. Perhaps, we are more spiritual in following certain preachers religiously. WORSHIP IS FOR GOD ALONE, EVEN WHEN WE DON’T UNDERSTAND HIM. For…this is how the JUST live out their lives, they LIVE BY FAITH and not by sight! 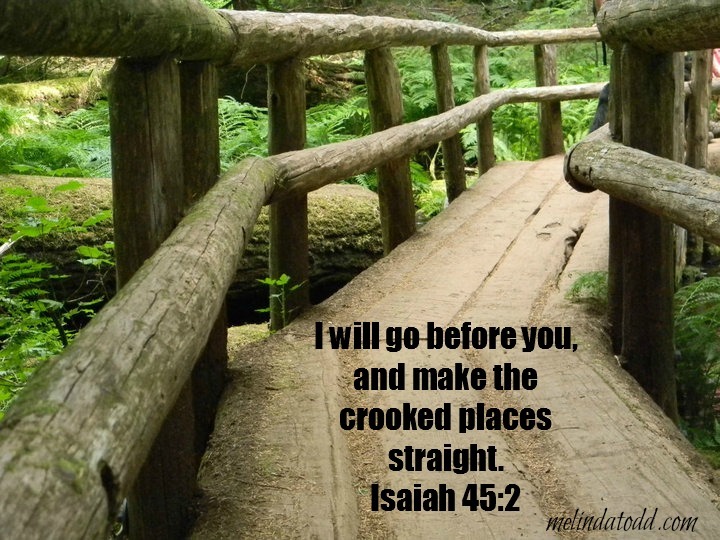 Photo Credits by, Photo Pin & Google Search – Images; Melinda Todd (Isaiah 45:2).